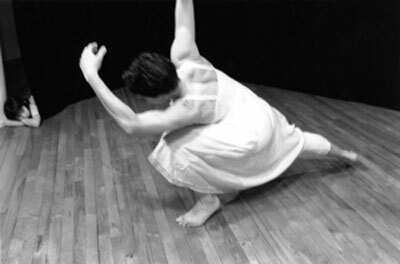 Barbara Mahler is a choreographer, performer, movement educator, body worker; a master teacher of and major contributor to Klein Technique™, teaching at the Susan Klein Studio as main teacher 1982-2001, and at the Susan Klein and Barbara Mahler School of Dance 2001-03. Currently on faculty for Movement Research since 2005. She is a senior faculty(89) and certified practitioner(86) of Zero Balancing. 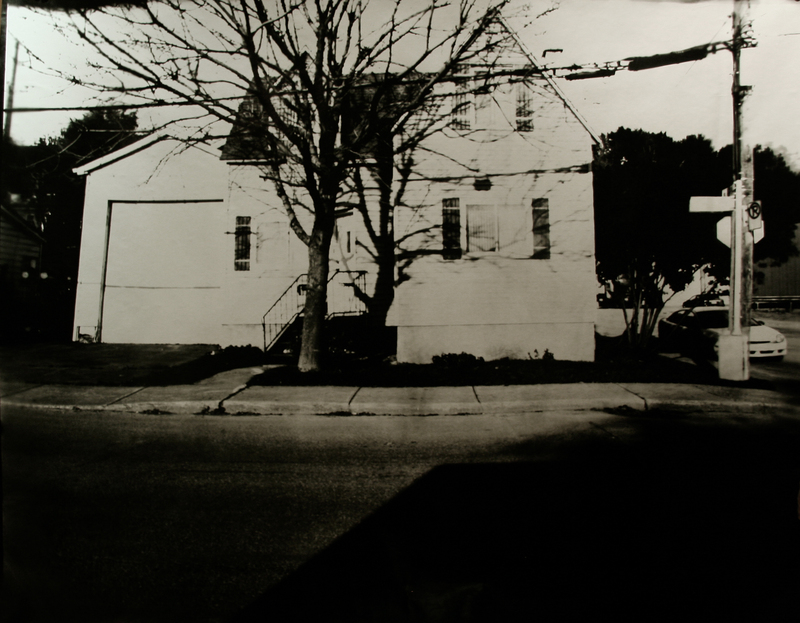 She holds an MFA from the University of Wisconsin, Milwaukee – 2008 CLICK HERE…..On-going Classes in NYC. She soon enrolled as a dance major, taking any classes available. It was at Hunter where she first learned of Susan Klein Technique through Vislocky — both of whom had a deep impact on Mahler. The venerable artist has trained hundreds of dancers and non-dancers while continuing to create solos and dances for small groups that are pregnant with nuance and skill. She spoke with The Dance Enthusiast about how her teaching and choreographic life intersect. See link below! Barbara received a 2013 BAX 10 AWARD in Arts Education. As well as choreographing and teaching, she maintains a private practice in hands on body work, using the techniques and principles of Zero Balancing, Connective Tissue Therapy, and Klein Technique, working with injury rehabilitation and prevention; movement re education and coordination. She is a master teacher/contributor of Klein Technique, and a senior faculty and certified practitioner of Zero Balancing (www.zerobalancing.com). As a movement educator, has been an ongoing faculty member with Movement Research NYC since 2005, teaching group classes aimed towards the improvement of coordination, alignment and general physical well-being. Barbara was the motor of the Susan Klein School of Dance 1986-2003, and to quote Dianne Madden, co-artistic director for TBDC, having begun teaching there full time in 1983. Movement Research continues to provide a home base for all aspects of her research. Barbara’s viewpoint of the well-functioning person/body is grounded in her long – standing work in the dance and movement field. Her major and most consistent sources of information have come from the study and teaching of Klein Technique and Zero Balancing, along with the perspectives and insights gained from re-educating her own body. Dorothy Vislocky was the spark that turned her world upside down and she began Dancing. Her continuing curiosity about the body, movement, perception, and learning fuels all aspects of her work – performance, teaching, choreography. Contemporary dance techniques, composition, improvisation, choreography and performance have all played major roles in the focus and experience of her work. Her small and intimate dances/choreography have been presented across the globe – Chile, Canada, Sweden, Finland, Denmark, and many venues in New York, as well as across the US. Barbara was an ongoing guest faculty with of the Danish National School of Theater and Contemporary Dance, 1994-2015. Taipei- with HORSE dance Theater June 27-July 2 2017, June 20-30 2018 , June 24-July 6 2019 with klein technique classes, advanced class, Zero Balancing , ZB 2 Class and individual ZB sessions. PERFORMANCES 2019 —Judson Memorial Church as part of Movement Research Presenting series March 18, Performance MIX with New Dance Alliance Sunday June 9, SOLTICE – an evening of dances Saturday June 15 and performances in and around Queens as part of the Queensboro Dance Festival 2019. New Work created with support LIFT -OFF with New Dance Alliance, a weekly peer feedback group headed by Karen Bernard, and Movement Research, who supports my process and products by employing my as a teaching artist 2005-present. Summer/Fall 2019- a member of the Queensboro Dances Festival – all queens based. I received my BA from Hunter College, under the tutelage of Dorothy Vislocky, NYC, and my MFA from University of Milwaukee/Wisconsin in 2008. I was an artist in Residence with Movement Research for the 2003-04, and 2006 -08 seasons. Movement Research continues to provide a home base for the development of my artistic visions and products. Internationally, my choreographic work has received support from the Arts Councils in Montreal, Canada; Danse Alliensen in Sweden (Stockholm and Gothenburg) and the Cultural Arts Ministry in Chile. I was a recipient of a Sage Cowls Land Grant, and part of the first solo dance artist residency at The Yard (an artist’s colony in Chilmark, Mass.) I was artist in residence at the first summer dance intensive at Ohio State University. I was a LIFT-OFF summer residency recipient in 2015, and received artistic support from “Dance Gallery”, NYC summer 2016. I was a guest artist/teacher at Hunter College, NYC, 2000-11 and an adjunct evaluator at SUNY Empire State College 2011-13 Since 1977, I have been an avid student, becoming a master teacher of as well of a contributor to Klein Technique, applying the principles to dance and movement from all points of view. In the mid ‘80s. I began creating mainly intimate solo dances for large and small spaces expanding to group dances, all with the earmark of, textures in time and space, portraits and non-linear stories. My work has been presented both nationally and internationally, receiving was a BAX 2013 Artists in progress award in Arts Education, accepted for EMERGE 2014, and was a member of LEAP a Queens Arts Council Program supporting development of vision, artistic products and process. I received a choreographic residency from the CAVE, Williamsburg, NY, a commission for student dance work at Wilson College,PA; and a grant to reset work on Clancy Dance in Silver Springs, MD, both spring 2015. I was a space grant recipient summer 2015 from LIFT-OFF, NYC . My choreographic passion is the solo dance, for my self and others; dances I think of in terms such as clarity and intention. Movement created through daily work in the studio through improvisational is my primary medium and drawing from my life experiences and artistic exposure. RECENT PAST :ISRAEL with Yasmeen Godder and Company Fall 2015; BERLIN @ LaborGrass 2006-08, Schwelle 7 w Felix Rukert 2010=2015; – VIENNA, Austria; 2016 , Limerick, Ireland 2016 ; LONDON @ Independent Dance Fall 2014, 2015, Chisenhale, and Greenwhich Dance Agency; Iceland with the Dancing House (Dance Atelier,) the State Dance Academy and the Main Dance Company of Iceland September 2012,;Skolen for Moderne Dance in Copenhagen, Denmark 1992-2007, 2009-2015 Minneapolis, MN 1992-present. My students include/have included dancers from all backgrounds, styles and aesthetic viewpoints – Trisha Brown, Stephen Petronio, Neil Greenberg, Wally Cardona, Molly Leiber, Lily Gold, Donna Costello, “HIJACK” (MPLS), Lily Baldwin, Jeremy Nelson, Yasmeen Godder, Fabio Silva, Gerald Cassel, Johanna Hegenshcheildt (Berlin), Diane Madden, Karin Jameson (Sweden), Janine Rivel (Sweden), Steinunn Ketilsdóttir, Rebecca Alson-Milkman, Sally Rhoades, Luis Lara, Barbara Grubel, Cathy Young, Jennifer Monson, Athena Malloy, Rachel Thorne Germond, Cara Heerdt, Ted Johnson, Jessica Winograd, Zeena Parkins, Jennifer Monson, Joanna Kotze, Kyle de Camp, Nami Yamamoto, Sarah Lass, Jamie Graham, Alissa Lazaro, Fara Greenbaum, Francis Stansky, Chrysa Parkinson, Omagbitse Omagbemi, Brian Gerke, Jody Melnick, Steinunn Ketilsdottir, Tatyana Tenenbaum, Leslie Satin, Jack Ferver, Jeremy Laverdure,- too many wonderful dancers and people to mention.